The Woodbine Station of the state police released the following information about recent arrests. Those charged are considered innocent. Thursday, Nov. 12 - Jerome Graves, 28, Woodbine, was charged with hindering apprehension for allegedly giving false information as to his identity at a motor vehicle stop in Dennis Township. During the stop, police said, Graves gave his brother’s information as his own. He apparently didn’t know that his brother also had a warrant active for his arrest, according to police. Graves was placed under arrest and during the investigation it was then learned that he gave false information and his true identity was learned. Police said they then found multiple warrants for Graves’s arrest. He was processed and lodged in jail. Tuesday, Nov. 17 - Daniel Watts, 25, Camden, was charged with hindering apprehension for allegedly lying about his identity while on a motor vehicle stop in Dennis Township. Watts was a passenger in the vehicle who was found to not be wearing his seatbelt. He was placed under arrest and during the investigation it was then learned that he gave false information due to more than $2,000 in criminal and traffic warrants and was also found to be a wanted person in New Jersey for violation of probation. Watts was processed and lodged in jail. Thursday, Nov. 19 - Jane Piazza, 55, Seaville, was charged with simple assault domestic violence for striking her daughter in the face with a fist during an argument at their residence. Police indicate she admitted striking her daughter. She was arrested, processed and released. Thursday, Nov. 19 - During the course of a simple assault domestic violence investigation, brother and sister Matthew and Michelle Hawthorne, 29 and 30 respectively, Upper Township, were charged with possession of marijuana, cocaine, hypodermic needles and other paraphernalia which police said they found at their residence. Michelle Hawthorne was also charged with the assault which allegedly occurred against her grandmother at the residence, and had an active traffic warrant for her arrest. Both were processed and released. Saturday, Nov. 21 - Kathleen Smith, 40, Wildwood Crest, was charged with possession of marijuana while on a motor vehicle stop in Dennis Township. She was arrested, processed and released. Saturday, Nov. 21 - James Murray, 31, Woodbine, was charged with operating a motor vehicle in Dennis Township while on the suspended list. He was also charged with DWI during the stop. Murray was arrested, processed and released. Saturday, Nov. 21 - Joseph and George Flanagan, 34 and 32 respectively, Eldora, and Adrianna Bortles, 24, Cape May Court House, were charged with possession of hypodermic syringes and drug paraphernalia while on a motor vehicle stop in Dennis Township. Driver Joseph was also charged with possession of marijuana and passengers George Flanagan and Bortles were each found to have more than $2,000 in warrants active for them. All were processed and Joseph Flanagan was released, while the other two were lodged in jail on the strength of the warrants. Saturday, Nov. 21 - Eleini Delgado, 23, Woodbine, was charged with simple assault domestic violence, accused of striking someone on the head with a house phone. She was arrested, processed and released. 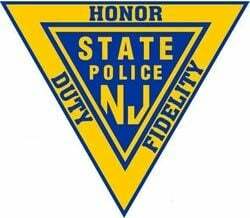 Sunday, Nov. 22 - During the course of a well-being check, Kristine Rivera, 47, Brigantine, was charged with operating a motor vehicle in Upper Township while on the suspended list. A concerned citizen called to state that an apparently intoxicated person was sitting in a parked car at the Marmora ShopRite. Investigation led to DWI charges also. She was arrested, processed and released. Wednesday, Nov. 25 - Whitney Mottershead, 27, Cape May Court House, was charged with possession of suspected heroin, drug paraphernalia, and hypodermic syringes during a motor vehicle stop in Upper Township. She was arrested, processed and released. Wednesday, Nov. 25 - Kenneth Fuqua, 30, Millville, was charged with burglary, theft, eluding, and possession of stolen property during the course of a burglary investigation by Woodbine Station troopers. The suspect allegedly removed an air conditioner unit from a residence in Dennis Township, climbed in and stole approximately $2,500 worth of goods and property from the residence. Information was developed as to his whereabouts and a search warrant was executed on his residence revealing some of the reported stolen property, police said. Also located within the residence was additional evidence that through the investigation was learned was stolen property from an active Millville Police Department case, police said. He was processed and lodged in jail. Saturday, Nov. 28 - James McCallon, 50, Ocean City, was charged with theft by deception for allegedly having approximately $8,700 of extensive repairs done to his vehicle and then not paying for the services. He was processed and released. Friday, Dec. 4 - Terrel Brown, 28, Vineland, was charged with obstruction, disorderly conduct and DWI for refusing multiple times to provide his documents and for failing to comply with lawful orders during a motor vehicle stop in Woodbine, police said. He was arrested, processed and released. Wednesday, Dec. 9 - Christopher Cardwell, 36, Egg Harbor Township.